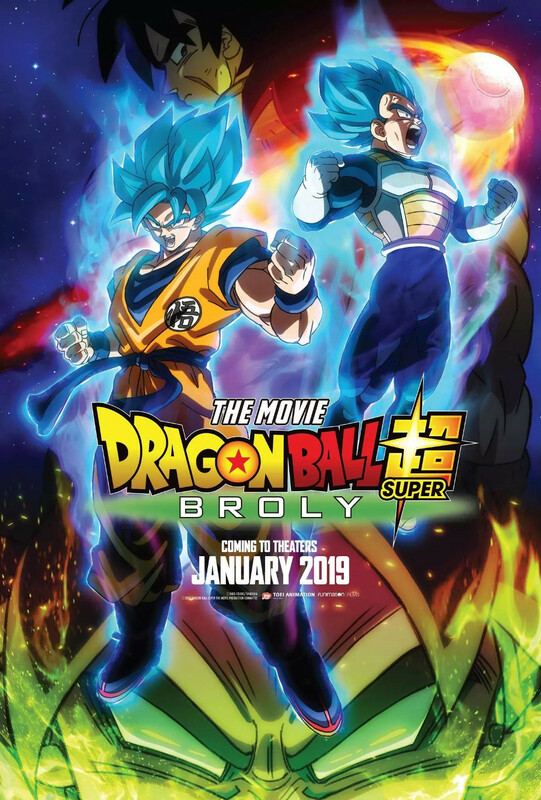 A new English dub trailer has been released for the upcoming Dragon Ball Super Broly animated movie that gets released January 16, 2019 in the U.S..
A description offers: Goku and Vegeta encounter Broly, a Saiyan warrior unlike any fighter they've faced before. If you are not plugged in to the Dragon Ball Z community, you probably didn’t know that you were going to see Vegeta in his Red Hair God Mode, something you’ve never seen in the series before. And there are definitely some new characters that we will get to see as well as some old ones that you might’ve forgot about. Dragon Ball Super Broly is directed by Tatsuya Nagamine with Vic Mignogna as the voice of Broly, Christopher Sabat as the voices of Vegeta / Piccolo / Shenron / King Vegeta, Jason Douglas as Beerus, Sean Schemmel as Goku, Monica Rial as Bulma and Dameon Clarke as Paragus.